Monday - Friday: 7:00 a.m. - 4:30 p.m. | Saturday: 8:00 a.m. - 2:00 p.m.
"Serving Our Green and Living World"
Transform your yard into a personal paradise by turning to Professional Landscape Service, Inc. For more than two decades, we have not only planted flowers and laid sod, but have helped our customers turn their dream space into a reality. At our landscaping company in Mars, Pennsylvania, we have a strong commitment to creating a healthy outdoor space that our customers can use for entertaining guests or relaxing on their own. With a combination of plants and hardscaping elements, we can create a truly custom space for you and your family to enjoy. What do you want out of your backyard? We can help you figure it out. 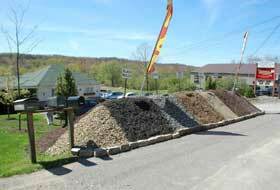 Many times, when customers come to our landscaping business for help, they don’t realize what is possible. They either have a large patch of grass that’s not particularly functional or pleasing to the eye, or they have previous hardscaping and landscaping from the home’s previous owners. Whatever category you fall into, we want to make your space feel just as much a part of your home as any room in your house. 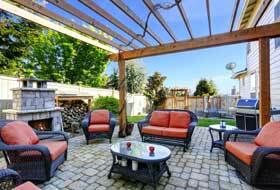 We don’t just perform lawn care services—we create entire outdoor living spaces. The first thing we do when designing your new yard is to find out what your priorities are. Do you like entertaining and cooking outside? Perhaps you love to be surrounded by shady trees and lots of flowers. Whatever your desires may be, we have the services to fulfill them. Trust the landscaping company that has been in business since 1992. We have seen how much landscaping has changed in the past 25 years—from fads and trends to the looks that have stood the test of time. Our contractors have worked with countless customers to create unique landscapes—and we are ready to do the same for you. 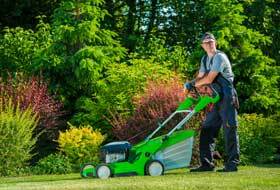 One of the biggest benefits to turning to our professionals for your lawn care and landscaping needs is that we have the expertise that only comes with decades of experience. We understand the specific challenges that your yard may present due to its location or size, and we are well prepared to tackle those challenges so you can get a beautiful outdoor space. 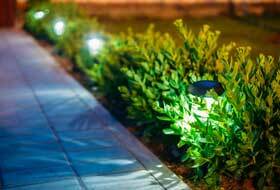 Contact us today to learn more about our landscaping and lawn care services. We proudly serve customers in North Pittsburgh, Butler County and surrounding areas. Thank you for the superior service that you and your work force provided in the finishing of my paver patio. I especially appreciate that you were able to fit this project into your job schedule and that your crew was able to complete the work so rapidly. The remaining months of fair weather will be much better enjoyed on our backyard patio. Your employees who worked at the site were courteous and very respectful of the property. They were very knowledgeable and answered all my questions concerning the project. Please extend my thanks to them for their hard work and expertise. The patio looks great and the new grass is coming in nicely. We are looking forward to years of enjoyment on our new patio. I would definitely call on your services for any of our future landscaping needs. I also recommend your services to any friends or neighbors who found themselves in need of landscaping. Thanks again, Dave, for the excellent job! © 2019 Professional Landscape Service, Inc. All rights reserved.